Happy Friday! There are gift guides galore, but we all need fresh ideas. 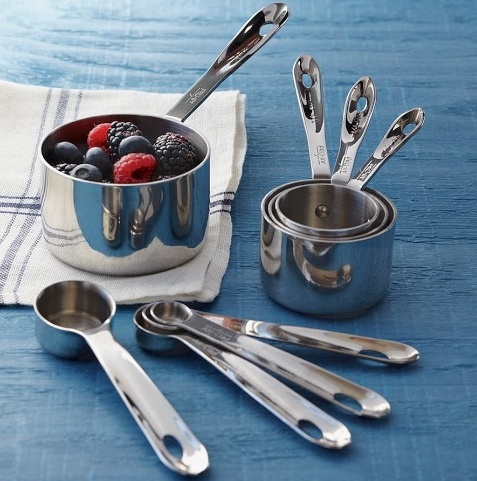 Here are a few of mine for the person in your life who is happiest in the kitchen!! 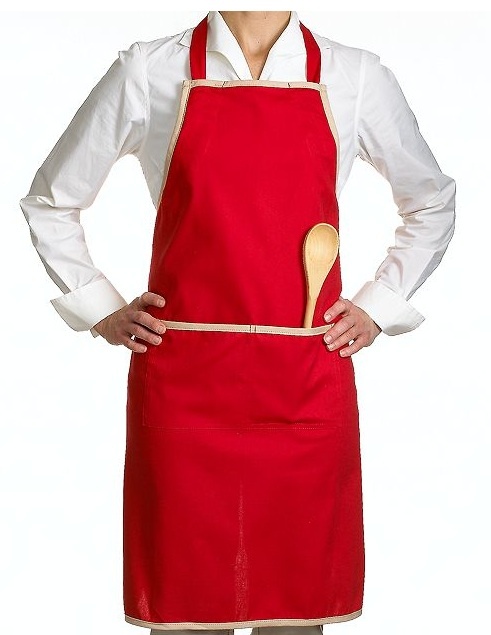 Personalize it by having it monogrammed and/or fill the pockets with new wooden spoons/spatulas! 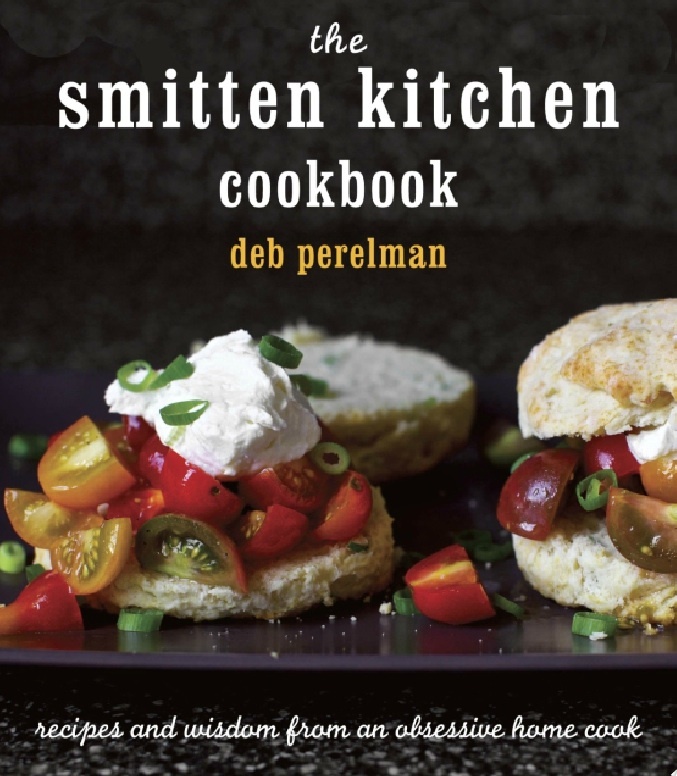 Personalize it by slipping in your favorite recipes!!! Sugar and spice and everything nice….that’s what gifts are made of!!!! When in doubt, follow the person’s interest and then make it unique. Write a note in the cover of a cookbook and date it. Create a “season of cookies” by selecting cookie cutters for each season, adding icing colors to coordinate. 1 part basic ingredients + 1 part creative flair + 1 part personalization and you have a recipe for a fabulous and memorable gift! So many good ideas…just ordered Smitten Kitchen a few days ago (for myself, lol). 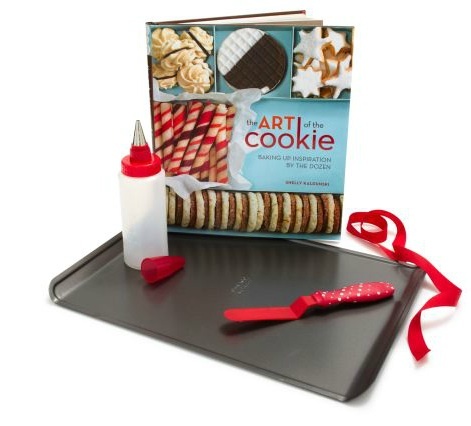 I love the cookie making kit for someone who likes to bake, great ideas here Elizabeth. Hope you have a wonderful weekend! Just love your "recipe" for a perfect gift! Have to have the measuring spoons and cups and the recipe binder form Sugar Paper! Great ideas, Elizabeth. Great ideas!! I think I may have to get my eldest both the cookbook and and All Clad measuring tools – he has his own apartment at law school and loves to cook as does his girl friend! Happy weekend! I'm obsessed with Sugar Paper too! I could buy everything on their website! Some terrific ideas here! I love cookbooks, and cooking and baking, especially this time of year. Have a wonderful weekend! More great ideas, Elizabeth! Sugar Paper is one of my favorites but I don't have that binder…it will be on MY list this year!!! 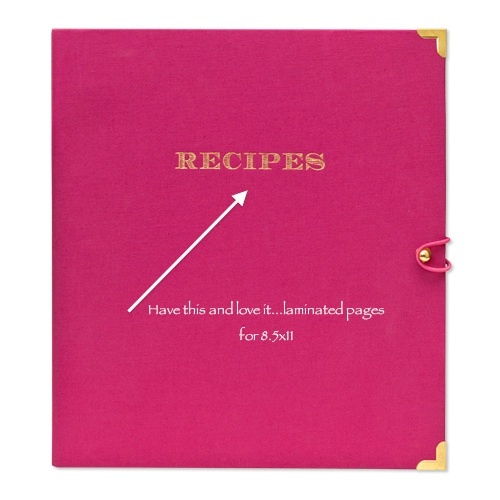 That recipe holder would sure look better than the old manila folder we use for ours! Planning on some baking and candy making this weekend. Hope your's is sweet, too, Elizabeth. Thanks for this list..I love holiday gift lists! Have a great weekend! Hey Elizabeth — how about I just give you my list??!! Great picks! Have a merry weekend as we head into December! They came out really great. online or on the school's educational funding office payday uk obtaining a standard loan might be frustrating, especially if you have questionable credit rating.